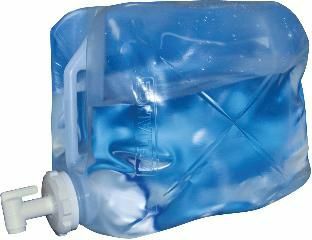 The Fold-N-Filter is a great collapsible water container that provides quick access to filtered water. By simple pressing down on the container it can dispense filtered water up to a rate of 1.4 gallons/min without loss to filter efficiency. Fold-N-Filter 20L Water Container The Fold-N-Filter is a great collapsible water container that provides quick access to filtered water. By simple pressing down on the container it can dispense filtered water up to a rate of 1.4 gallons/min without loss to filter efficiency.